This looks like a cozy place to pass the time, doesn't it? Fireplace. Sofa. Chairs. Window so you can watch the snow falling outside. Not a television in sight. 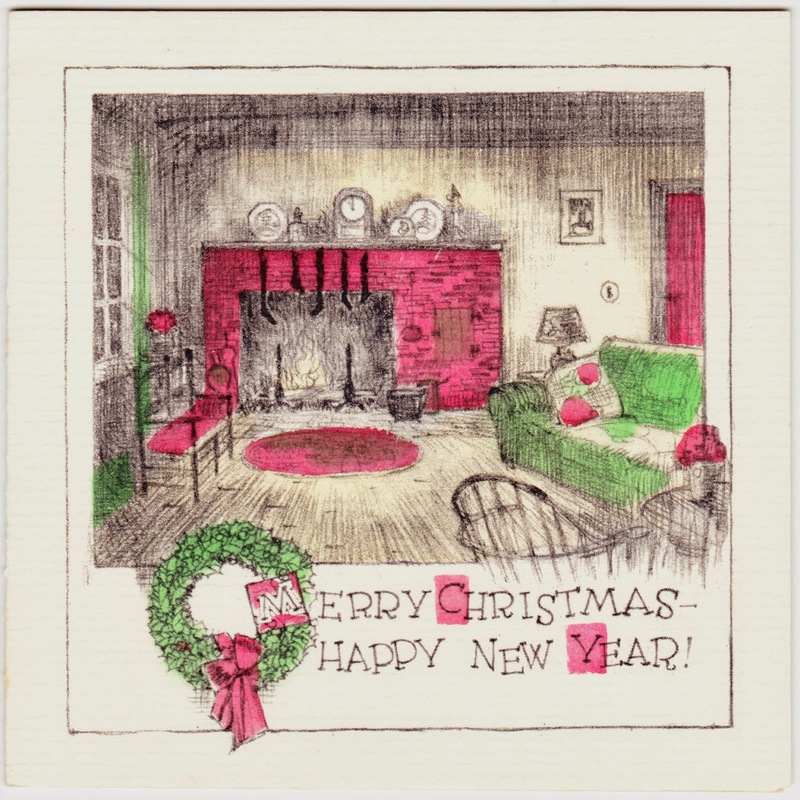 This is another small-sized Christmas card, just a bit larger than the one featured last Tuesday. This one measures 3½ inches square. Added, in cursive script, is "to the Spencer's". I don't have any leads, though, on when this card was produced and mailed. I can only guess that it would be sometime in the range of 1930s to 1950s.